I was recently bemoaning the fact that it seems standalones are going the way of the dinosaur. It feels as if every new release is part of a series. And I get it from a marketing standpoint - more books equals more profit - but sometimes I have total series overload. And here is where I contradict myself. Because there are those rare occasions when I turn the last page of a standalone novel and think, "Nope, not done. I need more." And I look around for a sequel to magically appear. But it doesn't appear and this generates a big sad face. And plaintive missives to the author kindly requesting (read: pitifully begging) that s/he revisit said book and Give Me More. It never works but whatever. Here are the standalone books that have me desperate for a sequel. This book - and these two characters - hold such a special place in my heart. I've re-read this one several times and that ending gets me every time. The postcard, the three words... I need to know! And even more than needing to know what was written on that postcard, I need to know that Eleanor and Park are okay. 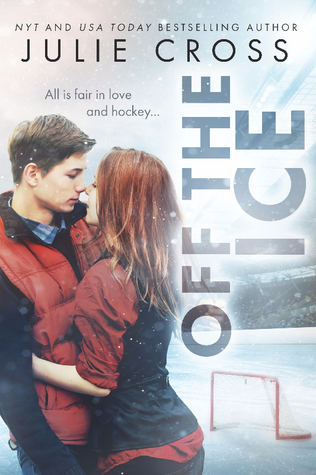 Synopsis: Elsie and Ben are average twenty-somethings, but this is not your average love story. It begins bright and promising: the newlywed couple is head over heels in love, having eloped six months after they met. But it all shatters in an instant; Ben out riding his bike, is hit by a truck—and dies on impact. Elsie hears the sirens outside her apartment, but by the time she gets downstairs, his body has already been taken to the hospital. When she arrives, Elsie is greeted by an unexpected visitor—her mother-in-law, Susan, whom she has never met and who doesn’t even know she exists. Interweaving Elsie and Ben’s charmed romance with Elsie and Susan’s healing process, Forever, Interrupted will make you laugh, make you cry, and remind you that there’s more than one way to live happily ever after. Even though this ended on a hopeful note, I still find myself thinking about Elsie. I'd love to know where she's at now and how she's doing. And the same goes for Susan. They both truly deserved some happiness in their lives and I'd like to know they found it. Synopsis: When Adam Blake lands the best elective ever in his senior year, serving as an aide to the school psychologist, he thinks he’s got it made. Sure, it means a lot of sitting around, which isn’t easy for a guy with ADHD, but he can’t complain, since he gets to spend the period texting all his friends. Then the doctor asks him to track down the troubled freshman who keeps dodging her, and Adam discovers that the boy is Julian—the foster brother he hasn’t seen in five years. Adam is ecstatic to be reunited. At first, Julian seems like the boy he once knew. He’s still kindhearted. He still writes stories and loves picture books meant for little kids. But as they spend more time together, Adam realizes that Julian is keeping secrets, like where he hides during the middle of the day, and what’s really going on inside his house. Adam is determined to help him, but his involvement could cost both boys their lives. This book absolutely broke my heart and had me weepy on more than one occasion. My heart ached for Julian and I just wanted to give him a hug and make everything okay. I'd love an epilogue just so I could know that Julian was eventually able to move on. Robin Roe, take pity on my fragile heart. 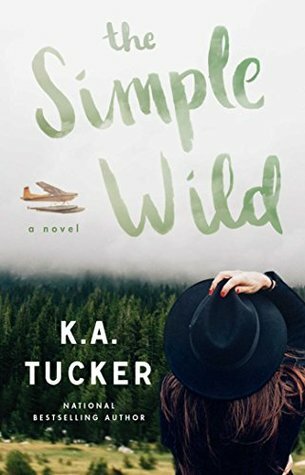 Synopsis: Calla Fletcher was two when her mother took her and fled the Alaskan wild, unable to handle the isolation of the extreme, rural lifestyle, leaving behind Calla’s father, Wren Fletcher, in the process. Calla never looked back, and at twenty-six, a busy life in Toronto is all she knows. But when her father reaches out to inform her that his days are numbered, Calla knows that it’s time to make the long trip back to the remote frontier town where she was born. Even though this one ended well, and I feel certain that things worked out just as they were meant to, for purely selfish reasons I want to have more, more, more of Calla and Jonah and what their lives look like now. Synopsis: Three years ago, Tanner Scott’s family relocated from California to Utah, a move that nudged the bisexual teen temporarily back into the closet. Now, with one semester of high school to go, and no obstacles between him and out-of-state college freedom, Tanner plans to coast through his remaining classes and clear out of Utah. This ending left me wanting more. Yes, I can imagine what followed but I'm greedy. I really, really want need more of Tanner and Sebastian. What more can you want after the perfect HEA? Um, if you're me... even more, please. There is absolutely no reason for a continuation of Michael and Stella's story but I don't care. I'm throwing it in here just because I love them and how awesome would it be to have even more? Synopsis: If Skylar Evans were a typical Creek View girl, her future would involve a double-wide trailer, a baby on her hip, and the graveyard shift at Taco Bell. 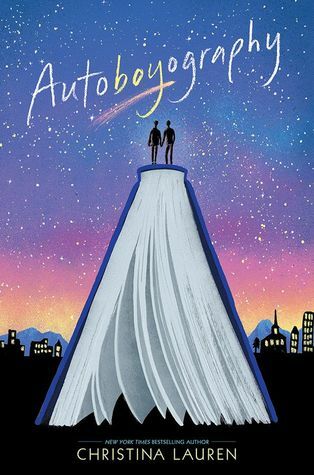 But after graduation, the only thing separating Skylar from art school is three months of summer…until Skylar’s mother loses her job, and Skylar realizes her dreams may be slipping out of reach. This book is incredibly special to me. It made a huge impact on me and is one of my very favorites. I would love to have more of Josh and Sky's story. I have no doubt they are together but I would love to know what the future held for them and where they're at today. Synopsis: Hazel Camille Bradford knows she’s a lot to take—and frankly, most men aren’t up to the challenge. If her army of pets and thrill for the absurd don’t send them running, her lack of filter means she’ll say exactly the wrong thing in a delicate moment. Their loss. She’s a good soul in search of honest fun. This one is very similar to The Kiss Quotient in that it ended perfectly (this one even had a swoony epilogue that had my heart bursting with the sheer perfectness of it) but I just loved these two characters and wasn't ready to say goodbye. I'd keep reading about them book after book if I could. When it comes to Colleen Hoover I'm rarely ready for her books to end. Over the course of the story I've grown to love the characters and would always be happy with more. But with It Ends With Us, even though the story ended well, I felt like there was a whole other story just waiting in the wings. And I'd love to read that story one day. Synopsis: Tana lives in a world where walled cities called Coldtowns exist. In them, quarantined monsters and humans mingle in a decadently bloody mix of predator and prey. The only problem is, once you pass through Coldtown's gates, you can never leave. If I could pick only one book to have a sequel, this is the one. I clearly remember finishing this one (5+ years ago) and thinking "There has to be more. I have to know what happens next." 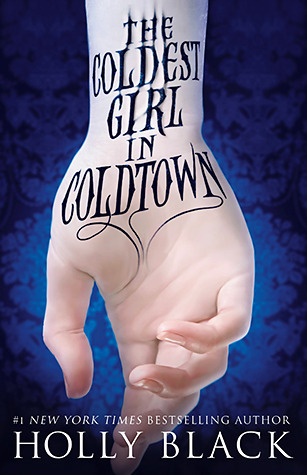 While on one hand I give Black kudos for containing her story to a single novel, if ever a standalone could use a sequel The Coldest Girl in Coldtown is that book. Even after several years I still want to know exactly what happened to Tana (did she turn or didn't she?!) and Gavriel was one of the most interesting characters ever and I definitely need more of him. Unfortunately there's never been even a whisper of a sequel so I'll have to let my imagination fill in the blanks with this one. What book do you think needs a sequel? Yes, Eleanor & Park definitely needs a sequel. 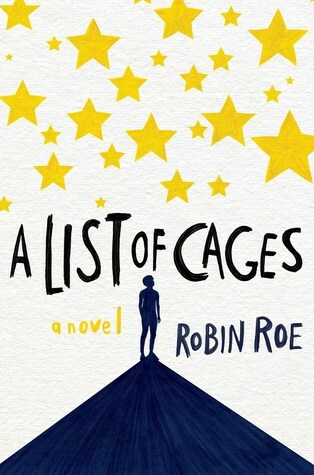 I would totally read a sequel to A LIST OF CAGES. But ughhh, I cried so hard during that first book-- maybe she could write one that doesn't completely DESTROY me!! The Coldest Girl in Cold Town was on my list too. I haven't read any of these others though. Can't wait to see your list, Ash. I'm still making the rounds from yesterday. How cool that The Coldest Girl in Coldtown made your list, too! Oh you have a lot I agree with. I would love to check back with The Simple Wild, Autoboyography, Josh and Hazel and I'll Meet You There. This is the second mention of Eleanor and Park I've seen and yes, definitely would like a sequel for that! 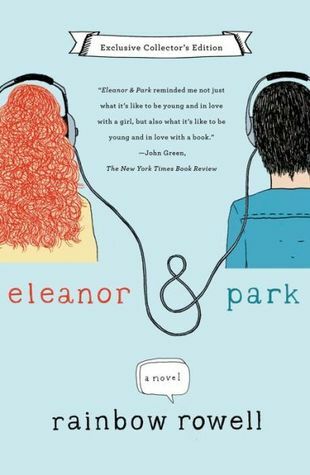 I'd love to know if/when/how Eleanor and Park reconnected. Tanya honestly you are my book twin! Yes on TKT, I'll Meet You There, The Coldest Girl, It Ends with Us and A List of Cages!!!! 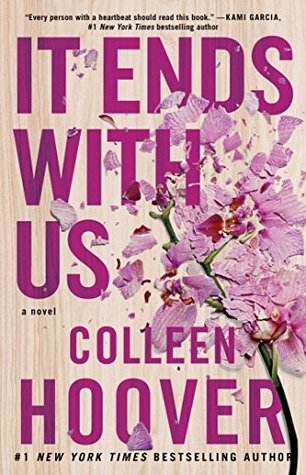 I'd be so thrilled with a sequel (or even short story) for It Ends With Us. I'd love to have Lily's story after all that happened. 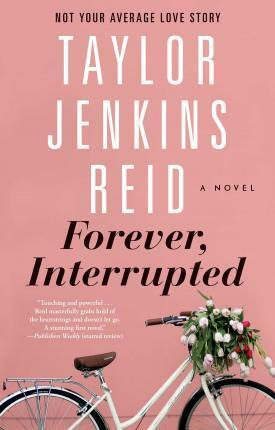 I adore Taylor Jenkins Reid and Forever, Interrupted was so good. Sad but good. :) And The Coldest Girl in Coldtown was fun... I might do a reread on audio sometime soon. Great list! 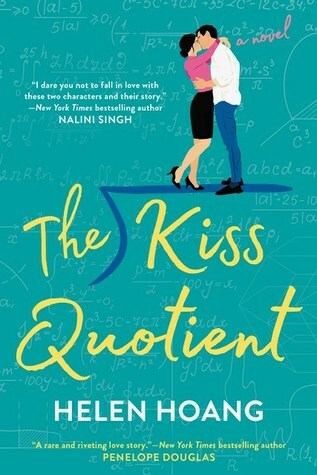 I agree that The Kiss Quotient doesn't necessarily need a sequel, but it'd be really nice to see these characters again - even if only in a short story. E&P - YES!!! That postcard is one of the most guarded secrets in history. I agree. It would be nice to see how Sebastian and Tanner made out. I am hoping we get an update on Stella and Michael in The Bride Test. I would love to see Josh & Hazel raise their children. Forever Interrupted sounds great too. I need to read more TJR. Rowell does seem to favor some open endings. :) Have you ever read Landline? Cath & Levi have a tiny cameo in that one that made me smile. Eleanor & Park is *so* worth reading. It seems from this TTT that mostly contemporary books need sequels... Maybe because they stories are more realistic. I am in the middle of Eleanor & Park and cannot get through it. I hope I'll pass this down point and enjoy it after all. Maybe the focus is on contemporary because fantasy books already tend to have sequels? But contemporary is typically what I read so that's pretty much always my focus. :) Too bad you're not enjoying Eleanor & Park. Ooh! Regarding Thr Kiss Quotient, I heard that there is going to be books about Michael's sisters. 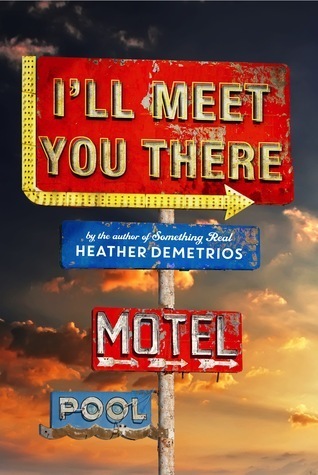 I'd love a sequel to I'll Meet You There. That was such a difficult story and I hope they're doing ok lol And Josh & Hazel!!! I could always read about them!!! Eleanor & Park is one that I'd read years ago. I didn't pick up on the casual racism at the time but still think it's an engaging read and it wouldn't take much to release a slightly edited version. The ending! My goodness. Between that one and every John Green novel of ever, I loathe open ended books. I think it's a way that authors can keep audiences happy to an extend without alienating sections of their audience but gosh, commit to a solid ending already! After three books, I finally gave up on John Green. I think his writing style is just not for me. Plus I felt like I was reading versions of the same stories/characters over and over. YES to an epilogue for A List of Cages. I'm behind that 100%! Even just a short story... an epilogue. I need to know Julian is okay! The blurb for Forever Interrupted almost had tears in my eyes! I don't think I'm brave enough to actually read it but I can well believe it is one that stays with you and leaves you wanting just a little bit more! It was a heart breaker, for sure, Nicci! 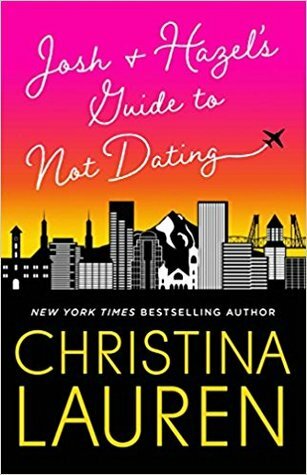 I made my husband read the first chapter and he was like, "That's a horrible book!" LOL It was a tough read but it was also a journey with the main character and ended on a very hopeful note.